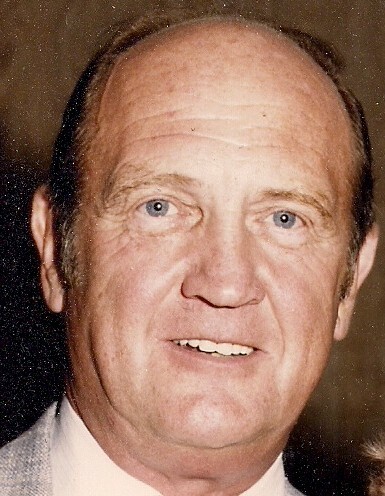 Walter Rakicki, 90 of Bellaire, died December 6, 2018 at the Samaritas Senior Living Facility in Acme. He was born August 25, 1928 in Detroit the son of Walter and Frances Rakicki. Walter proudly served in the United States Navy. He was a police officer for the City of Detroit for many years and also worked for GM in the office at the Warren facility. Upon retirement Walter built his home and moved fulltime to Shanty Creek Resorts where he had owned property since the beginning of its conception in the early 60’s. Walter loved to golf and enjoyed all Shanty Creek Resorts had to offer. Surviving is his son Dennis (Nancy Ann) Rakicki of Yale. He was preceded in death by his parents, his wife Katherine and his 2 sisters. A funeral mass will be held Monday, December 10th, at 1pm at St. Luke Catholic Church in Bellaire with visitation from 10 am until the time of mass. Fr. Chet Collins will officiate. Interment will be in Great Lakes National Cemetery in Holly, Michigan. Memorial contributions can be made to St. Jude Children’s Hospital.